Many of our clients have recently reached out to us asking how to make their campaign website more visible to search engines (like Google). Due to popular request we decided to share a few tricks that we’ve learned from our social media and search engine optimization friends. Before we jump into the tricks it’s important to clarify a few things. The art of making your website visible to search engines is called search engine optimization (SEO). Traditional SEO generally focuses on changing code on your website to target specific words and creating a lot of links to your website from other websites. With the rise of social networks traditional methods for SEO became less relevant relative to social network signals. According to Searchmetrics, 7 of the 10 of the most important factors in SEO ranking now come from social media. This means that using social media for your political campaign has a huge effect on whether people can find you on the internet. Create a blog and publish content on a regular basis (at least once a week). This is a very important aspect to your strategy because the content you produce on your blog will drive people to your website and social networks. Make sure you produce quality content. If you don’t produce quality content then no one will read and engage with your blog. Use analytics to determine what content people are interested in reading, and try to write about things that are new and relevant. Make sure to share your blog posts on all of your social networks. At PoliticIt we track every candidate running for federal office. We gather all kinds of information and data about these candidates. One thing that we noticed is that a lot of candidates running for office will use a personal Facebook page instead of a Fan Page. Why use a Fan Page? A Fan Page doesn’t the limit the number of fans you can have whereas a personal Facebook page limits the number of friends you can have to 5,000. 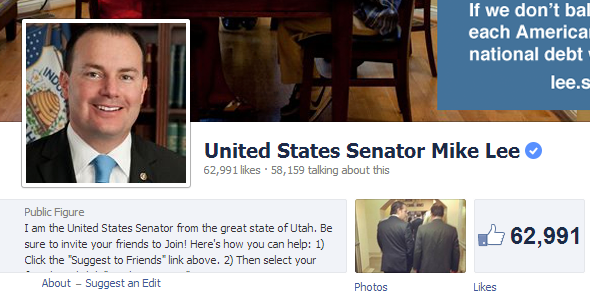 Senator Mike Lee has 62,991 fans. Had the Senator used a personal page he would have been cut off at 5,000. Search engines not only rank using backlinks, but they also rank by who and how many people you’re connected to. Having more connections on Facebook will impact whether or not you appear in search results. In addition to this problem…Google doesn’t track content on your personal Facebook page (Bing does though). That means your content being shared on your personal Facebook page isn’t really boosting you in Google’s search results. A lot of people don’t use Google + claiming that it’s worthless to use due to a lack of users, however, from an SEO perspective Google + is one of the most important social networks to be a part of because Google has openly claimed to give posts in Google + preferential treatment as far as SEO goes. Every blog post you create needs to be shared on your Google + account. How powerful is posting to Google +? 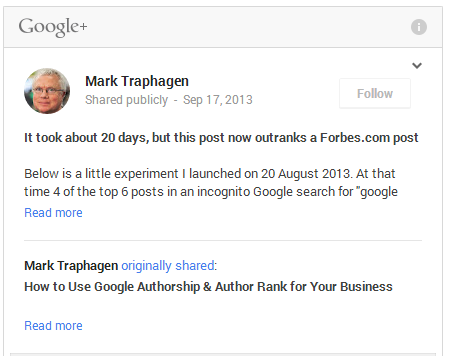 Mark Traphagen recently did a test where he got his Google + followers to +1 an article published by Forbes. 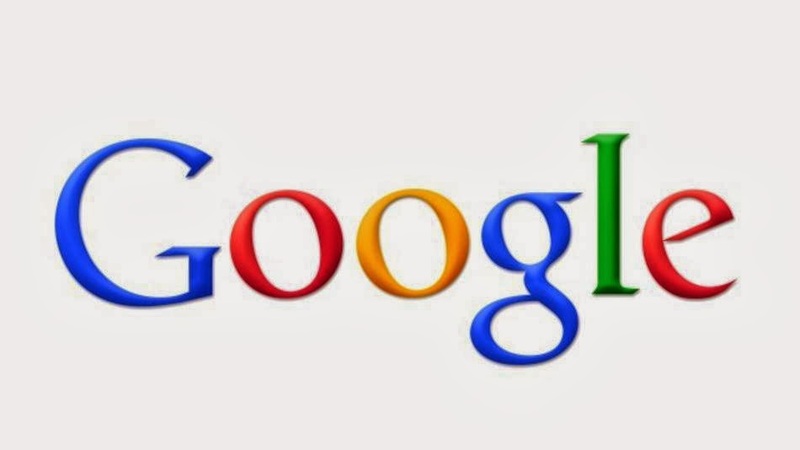 20 days and 64 +1’s later…the Forbes article he shared on Google + outranked Forbes.com in Google’s search engine. Don’t believe me? Check out his article here. Mark Vang is an avid Google + user who has a plethora of knowledge in the realm of Google +. Recently he pointed out several additional benefits to using Google + that need to be mentioned. Mark’s suggestions are spot on. If any candidate utilizes this method we would love to hear about it. 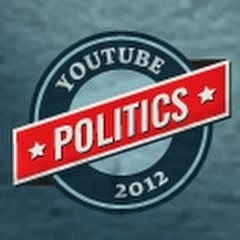 Many candidates in the 2012 election were slow in jumping on the YouTube wagon. Getting on YouTube early is critical for your SEO success. One of the main reasons it is so important is because YouTube is owned by Google which means that Google gives it preferential treatment in its search engine (just like Google +). Another big reason producing videos for YouTube is so important is because it’s not as competitive as published content. For example I once had an advertising business and I noticed that my competitors weren’t on YouTube, but they were really good at producing publishing content. To compete with them I produced one YouTube video and included keywords regarding my advertising business in the title and tags. In less than a month my YouTube video was appearing on the front page of Google and my competitors were never able to catch up (because I had more views on my video). Search engines are not only concerned with how many followers you have, but also who those followers are. One of the great things about Twitter is that you can literally connect and talk to anyone. One of the best SEO tricks you should use is identifying, connecting with, and talking to influencers. How do you find influencers? At PoliticIt we use PoliticIt Campaign to accomplish this. PoliticIt Campaign has a really great Twitter Analytics page that allows you to type in any keyword and it will tell you influencers that surround that keyword. You can type in another politician’s Twitter username like SenFeinstein (Senator Dianne Feinstein) or a phrase like “I love politics” or “#politics”. Once you find an influencer simply locate them on Twitter and follow them, mention them in a tweet by including a @ tag in front of their username (like @SenFeinstein), or retweet their content. Some of them will follow you back opening up the ability for you to have regular conversations with them, using the @ tag will ensure that they receive your tweet, and retweeting them will increase the probability that they will retweet you back (creating a powerful backlink). More communication and connections with influencers will increase your SEO ranking. One important tactic you can utilize to improve your SEO is growing the amount of followers you have on Twitter. There are several ways to accomplish this. The first way is to make sure to include your Twitter icon in your email signature and also on all of your public facing content. For example, if you publish a mailer you should have a call to action on it encouraging the voter to follow you on Twitter. The second way is to send out a lot of tweets. Tweeting more is directly correlated with getting more Twitter followers. How many tweets should you send? That’s a tough question. 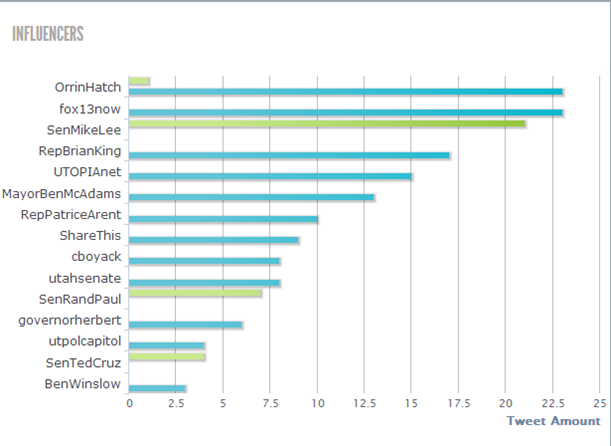 Senator John McCain has the most Twitter followers relative to all other U.S. Senators. He tweets roughly 5 to 7 times a day. You might want to follow his lead. One of the best ways to get a lot of targeted Twitter followers is to use software. PoliticIt Campaign has a powerful tool in it called the Grow Tool. What we have found is if you follow people on Twitter there is a 15% chance or more that they will follow you back. Many of our clients see a followback rate of 50% or higher. How does it work? The Grow Tool allows you to type in a keyword like “I love politics” and it will pull up everyone who recently said “I love politics” on Twitter. The tool then has an easy mechanism for mass following of those individuals who love politics. 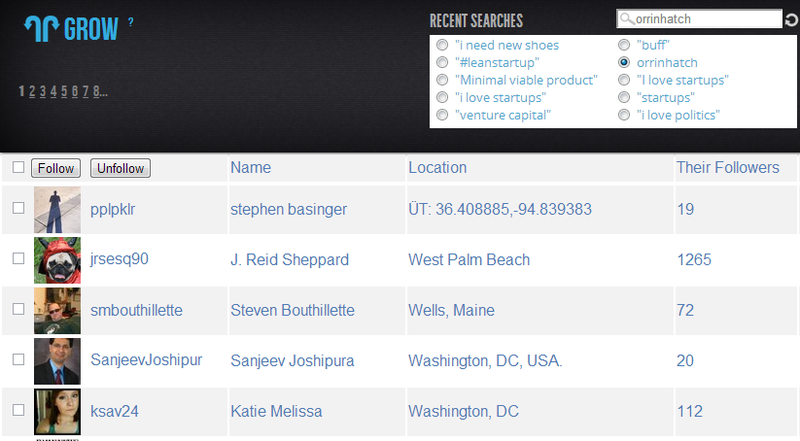 You can also type in your competitor’s Twitter handle. For example if I am running against Senator John McCain I can type in his Twitter handle SenJohnMcCain and the tool will pull up all of his followers. I can then systematically follow all of his followers on Twitter. The Grow Tool also allows you to target voters and donors on Twitter. You simply send us your voter or donor list and we will upload it into the system. The tool will then find all of the individuals from the list and populate them in the Grow Tool allowing you to systematically micro-target every voter or donor in your campaign area. Getting a Wikipedia page is huge for your SEO success because Wikipedia pages are often one of the first things that appear when you type in someone’s name in Google. We recommend having a professional write your Wikipedia page because it is often very hard to do this on your own. This can usually cost around 400 dollars. A cheaper approach is to find a college student that has successfully written several Wikipedia pages in the past and pay them 100 dollars. We have seen both methods work effectively. The one method that rarely works is trying to write it yourself. One additional trick to consider is adding your name to your competitor’s Wikipedia page. People looking up your competitor will go to their Wikipedia page and see that you’re running against them. Link your name to your Wikipedia page. In this way your competitor will potentially drive traffic to you. A common rookie mistake we see from candidates is that they don’t have links to their social networks on their website, or the links are hard to find. Make sure you have links to every social network on your website in highly visible areas. We generally recommend placing links at the top and bottom of your website. This will create links from your social networks to your website which should boost your SEO. Talking to people who you connect with is very important for your SEO efforts. By engaging with people you will increase the probability that they will share or engage with the content you share. This tactic works beautifully. I personally try to engage with every new follower and it has resulted in leaps and bounds with my follower growth and engagement. Sometimes I mess up so don’t hold it against me. Increasing the number of followers and engagement will increase your SEO. Deborah is a digital strategist in New York. 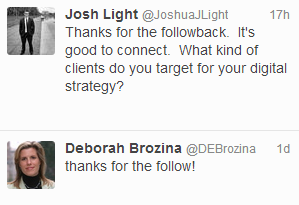 One thing I don’t recommend doing is auto direct messaging on Twitter. Some people view it as spam. Personally it doesn’t offend me. Make sure that you make your initial contact original and genuine. You’re goal is to create a real connection with your follower. A quick way on Twitter to do this is to briefly look at their bio and make a comment about it in your first contact with your follower. I recommend keeping these conversations private by utilizing direct messaging on Twitter. I try to always learn from my followers and help them in any way possible. In the 2012 election we used the It Score to successfully predict the Presidential and all of the Senate, Gubernatorial, and Congressional races nationwide with 91% accuracy. The It Score is a machine algorithm that measures your digital influence. We calculate it by collecting and analyzing online chatter around politicians. With PoliticIt Campaign we give every candidate a daily calculation of their It Score. Our clients use this metric to measure their online performance. When you see a boost in your It Score you should look at what people were saying and doing in not only the mainstream media but also on social networks. By increasing your It Score you will also see an improvement in your SEO. What is your experience with SEO and social networks? Feel free to comment below and share with other readers great tips and tricks you’ve found. Josh, candidates may also want to consider a Google Community. Public communities are indexed by Google Search, and listed in the G+ community directory. A candidate could set up a Google+ Business Page for their campaign, then have that page act as the owner of the community. A private, unlisted community could serve as a rally point for campaign contributors and supporters. The G+ business page can have a branded YouTube channel which allows community members to host on-air hangouts (think Town Hall meetings). Those on-air hangouts create YouTube videos that would reap the SEO benefits described in this post. Google allows up to 50 managers for a page, so that makes it easy for a campaign to delegate tasks to campaign staff. Thanks for the great suggestions Mark! You’re my G+ mentor. Have you published any blog posts before with instructions to do this? We would be happy to insert your suggestion in this post and link out to your blog posts so readers could gain further insight. These ideas are gold. This article has some great tips in it; thanks for sharing Josh. I appreciate it has a political market bias but the basic advice should be useful for anyone wanting to improve their online social profile. Thanks again! As adebold says above, the basic advice applies whatever your political persuasion – I am following up the community suggestion myself. Good to have you here Elle! I’m glad the article helped you out. Very interesting article. Lots of useful insights for non-political SEO too. I picked up several really useful tips. Thanks Greg! I’m glad you found some of the material helpful! Hi Josh: Excellent overview that I will pass on to others. I find that there are two distinctions, organizations with an established base and those starting from scratch. I have a social media and PR background and have created very successful social sites for organizations. However, I find that when I start from scratch (my own sites at http://leonardsipes.com and http://mylifeaudio.com, it’s a slog. It will be the topic of my next post. Best, Len. Thanks Leonard. I agree with your evaluation of two types of organizations. Sometimes templates are the best options (rather than going from scratch). I have quite a few friends who subscribe to website services to build beautiful sites relatively quickly (mainly for e-commerce products) http://www.shopify.com/. Looking forward to your post.